"The ice humbles all, it reveals our limitations, our weaknesses, our human-ness." Vertical Entertainment has unveiled an official trailer for a sci-fi action film titled 2307: Winter's Dream, set (obviously enough) in the year 2307 during a new ice age. The plot in this is a bit weird - scientists bio-engineered Humanoids that possess great strength, speed, and tolerance to extreme cold. When one of these humanoids escapes and threatens to lead a rebellion, an elite team of soldiers is sent to hunt him down. This seems to be much more about the gritty action and nefarious characters than the futuristic time it takes place. 2307: Winter's Dream stars Paul Sidhu, Branden Coles, Arielle Holmes, Kelcey Watson, Anne-Solenne Hatte, Timothy Lee DePriest, and Stormi Henley. This looks like it might be okay, but I'm not excited. You? The year is 2307 A.D. The Earth is frozen over and virtually uninhabitable. The remaining humans live underground, unable to survive the sub-arctic temperatures. With no "man power," scientists bio-engineered Humanoids that possess great strength, speed, and tolerance to extreme cold. When a rogue humanoid escapes and threatens to lead a rebellion against mankind, an elite team of soldiers, led by decorated killer Commander Bishop, must hunt and kill the fugitive. 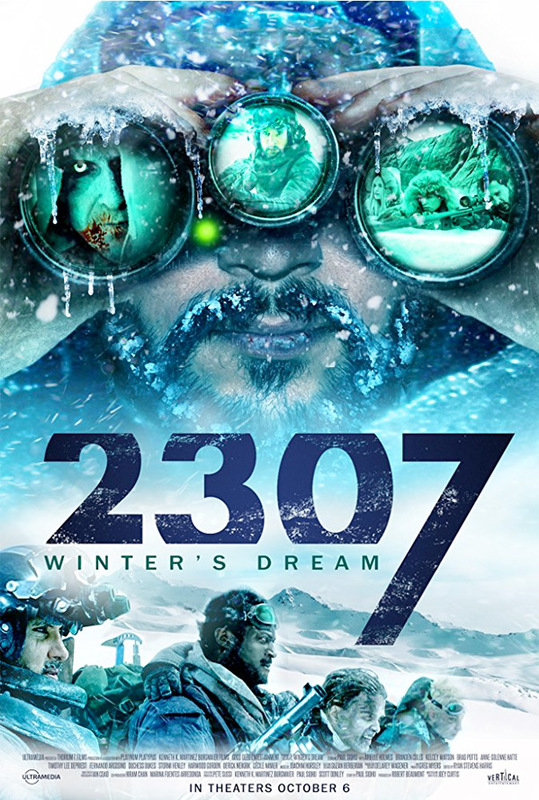 2307: Winter's Dream is directed by American filmmaker Joey Curtis, of the film Quattro Noza previously. The screenplay is also written by Joey Curtis, based on a story by Paul Sidhu. This first premiered at a few smaller film festivals last year. Vertical Entertainment will release 2307: Winter's Dream in select theaters starting October 6th this fall.